We recognize that at the time of John Wesley the church in England offered a largely civil religion and that many, including Wesley, found themselves disconnected from a vital spiritual life because church religion did not provide an experience that connected spiritually through all three domains of experience and intelligence: mental, emotional and somatic. Or, the Way of Truth (John 8:32), the Way of the Beautiful (Ps 42:1) and the Way of Goodness (Matt 25:40). The “method” that John Wesley brought to renew the established church was similar, both to practices in the early Christian church before Christianity became a state religion, and practices over the centuries in monastic communities that have sought to chart a course of living in daily communion with God. The parallel between Wesley’s time and ours is apparent. And while we start with the forms of Wesley’s method, we honor the essence of his method the most by being open to new forms and methods that build on the spiritual essence of his idea. In so doing, we recognize the fundamental form of our mental, emotional and somatic human natures and that we all tend to favor one of these domains. Practices that only foster a deepening of one domain may keep us stuck. Ultimately, all deep spiritual growth involves the integration of all three domains, so that our spiritual life is realized throughout somatic, emotional and mental parts of our experiences. In this way we are able to live most authentically out of our true selves in connection with God. 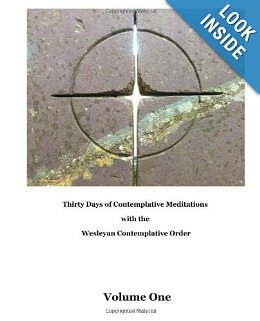 Is membership in the Wesleyan Contemplative Order limited? No, the Order is non-denominational and open to anyone wishing to pursue a Christian journey of faith in a contemplative community. Why is the word Wesleyan used in the Order’s name? The contemplative practices of the Order build on those processes encouraged by John Wesley who found that they renewed the experience of faith at a time when the mainstream church seemed out of touch. Does one have to believe certain doctrine to be a member of the WCO? No, it is commitment to a process: of using contemplative practices in daily life and being in community with others who are doing the same thing that distinguishes those who seek participation in the WCO. What if I am not a believer, but just spiritually searching, would I be able to become a member? Jesus brought a message of love and hope to everyone, especially those on the fringes: the poor, the lonely and heartbroken. All are welcome who are open to contemplative practices in community as a way to experience his message. Do members of the WCO take a vow? Yes, a vow to follow a Rule of Life. What is a Rule of Life? 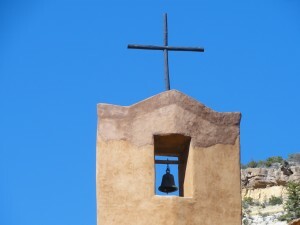 A Rule of Life is a personal set of contemplative and spiritual practices to which one commits to deepen the experience of one’s faith journey and connection to the continuous Presence of God. Who decides on what the Rule of Life is for each person? Each individual member of the WCO, after seeking discernment from God, decides for him or herself. Is the commitment to be a member of the WCO a covenant or a vow? It is both. The vow, by which a Rule of Life is adopted, is a personal one made to God. The covenant, or promise, is to the other members of the Order to be a faithful member of the community and in this way support each others spiritual journey. How do I become a member of the WCO? By participation in a Band for some period of time to discern if this is right for you. What is a Band? A band is a small group of members of the WCO who meet regularly to experience silence together in the presence of God and to participate in other contemplative practices designed to strengthen our faith journeys. If I feel called to participate in a Band how do I actually become a member of the WCO? Vows and induction of new members are made once a year at a retreat of the full Order. What if there are no Bands near me, can I start one? Yes, if there are three or more individuals who wish to start a Band, existing members of the WCO will be glad to help these individuals come together to learn the process of participating in contemplative practices in community in order to begin a new Band in areas where no Bands exist. Does the WCO have a particular ministry? While it is always possible that in a given year the WCO might take on a particular project, its primary mission is to be a community that deepens the spiritual lives of its members in order to enliven their ministries and devotion to service in the world. How does the WCO support itself financially? The WCO began as a spiritual formation ministry of Davidson United Methodist Church and seeks to be financially self sufficient by being supported by the gifts and service of its members. How is the WCO governed? By its members through seeking discernment from God. Wonderful to see all of you who could make it to our WCO fall retreat. Ann Starrette reminded me after we met that for our new folks no one really spoke to the meaning of the name — Wesleyan Contemplative Order. The name is important, particularly in a paradoxical way — it connects us to a Christian heritage that frees us from the problems of many religious heritages, such as theological correctness, denominational orientation, liturgical preferences, etc. John Wesley was an Anglican all his life. Like Jesus he had no desire to start a new church. Like Jesus he saw that form and structure of his religion were blocking the Spirit. So Wesley fashioned a method to try to allow people to get back to living connected to an unitive experience with God. His method hearkens back to early contemplative Christians, before there was any “church,” who gathered in small trusting groups to open to the experience of God in their lives in the moment. So the WCO is Wesleyan because it puts a method, or what we would call today practices, which open us to God’s Grace, at the center of the spiritual journey. It is Wesleyan because it is ecumenical. As he said, “Though we cannot think alike, may we not love alike? May we not be of one heart, though we are not of one opinion?” It is Wesleyan because Wesley, who was a stuffy old Anglican studying theology at Oxford early in his life, came to understand that vulnerability is the key to spiritual growth and we can only first learn to be deeply vulnerable to others and God in small groups or to use his word, Bands. The word Contemplative is used because that is the nature of the practices such as Centering Prayer, Welcoming Prayer, lectio divina, etc., that we adopt to deepen our life with God. Contemplative practices are any practices aimed to break down the dualistic experience of life and allow our lives to flow from the experience of unity with God. 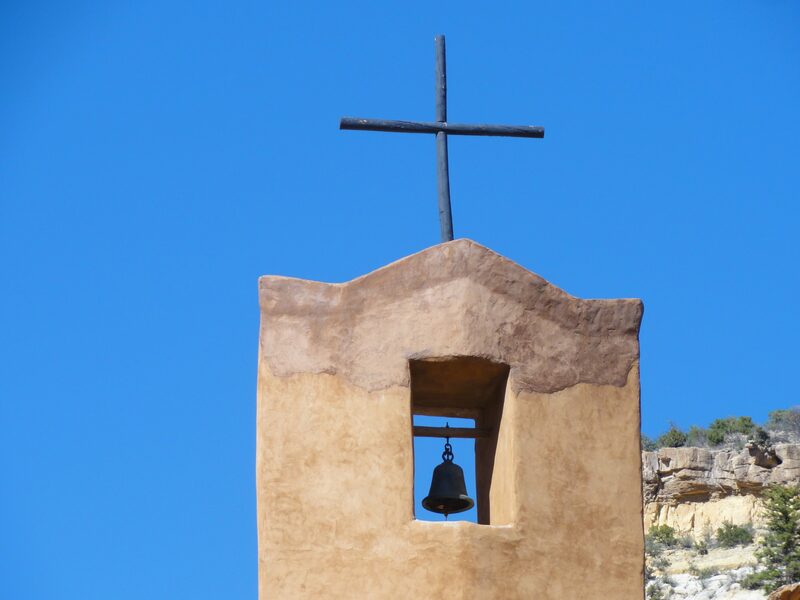 The word Order is used because over the centuries Christian followers have banded together in orders to form communities that reflect a profound commitment to a spiritual path and to nurture each other together in their spiritual journeys. To become a part of an order is not like joining the Rotary club or a Sunday school class (thought many of us do these too); it is the reflection of a deeper level of commitment to the nature of our spiritual journeys than to the ordinary things of life. It is a way of saying I wish to put this journey with God in community first on a daily basis for the rest of my life. Anyone can become a member of the WCO by being a member of a WCO Band and by agreeing to adopt a set of contemplative practices, or Rule of Life as it is traditionally called, to enliven their spiritual journey. responses, we embrace what is holy. regardless of how hard the material is that it is flowing over. Given in love to you. Given in joy to you. Given in faith to you. Greek, we sometimes misunderstand what the Scriptures are saying. wounded, the hurting, the sad or angry; bring your whole self to God. follows that we would love ourselves and everyone else. Am I serving myself and not God by this focus? ourselves. Thanks be to God! opportunity to be that love. move deeper into the trinitarian mystery together. for Wesleyan Community by Elaine A. Heath and Scott T. Kisker. dire circumstances. These are inspiring stories of lived Christianity. encourages my choice of books for his purposes. like me where the search has no end. Lord and then figuring it out what it all means. The WCO Quarterly Newsletter October, 2014 Edition, is now available to view. “Could meditation/contemplation be the very thing that has the power to both democratize, reform, and mature Christianity? It alone does not demand major education, does not need a hierarchy of decision makers, does not need to argue about gender issues in leadership or liturgy, does not need preachers and bishops, and does not need membership requirements that include and exclude. Contemplation’s non-verbal character makes all our arguments about “the right words” and the perfectly correct understanding of those words largely useless. We clergy are almost put out of business.